In recent years, cultural work has engaged the interest of scholars from a broad range of social science and humanities disciplines. The debate in this ‘turn to cultural work’ has largely been based around evaluating its advantages and disadvantages: its freedoms and its constraints, its informal but precarious nature, the inequalities within its global workforce, and the blurring of work–life boundaries leading to ‘self-exploitation’. While academic critics have persuasively challenged more optimistic accounts of ‘converged’ worlds of creative production, the critical debate on cultural work has itself leant heavily towards suggesting a profoundly new confluence of forces and effects. Theorizing Cultural Work instead views cultural work through a specifically historicized and temporal lens, to ask: what novelty can we actually attach to current conditions, and precisely what relation does cultural work have to social precedent? 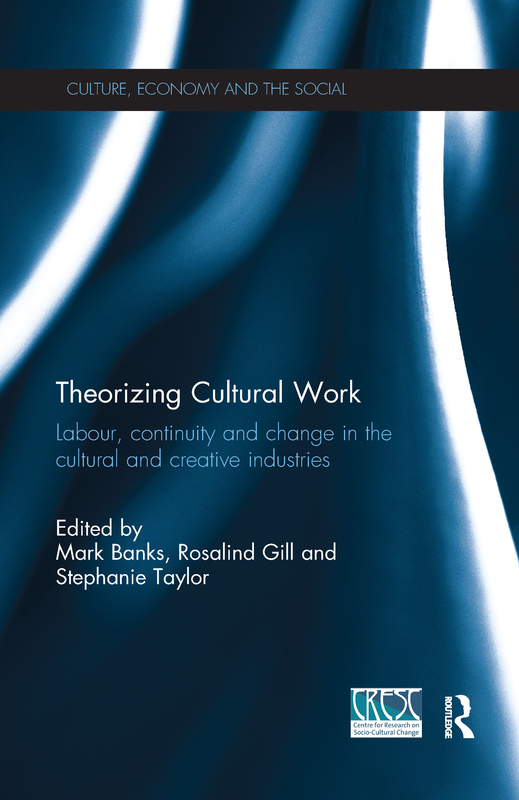 The contributors to this volume also explore current transformations and future(s) of work within the cultural and creative industries as they move into an uncertain future. This book challenges more affirmative and proselytising industry and academic perspectives, and the pervasive cult of novelty that surrounds them, to locate cultural work as an historically and geographically situated process. It will be of interest to students and scholars of sociology, cultural studies, human geography, urban studies and industrial relations, as well as management and business studies, cultural and economic policy and development, government and planning.